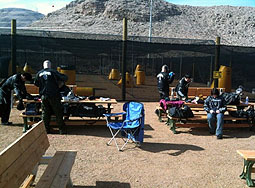 Combat Zone Paintball Field is an outdoor paintball field located near Henderson, Paradise, and Enterprise in Las Vegas, Nevada. 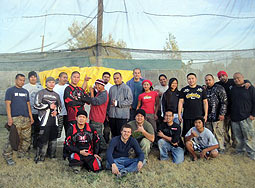 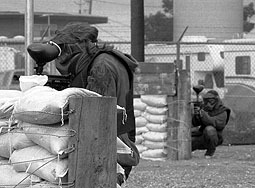 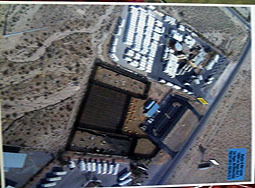 Combat Zone Paintball Field is also convenient to Summerlim South, Calico and other cities in this area of Nevada. 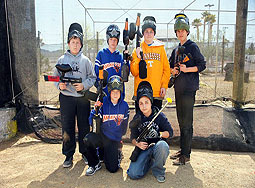 See the chart below for distances and drive times to other cities and points of interest. 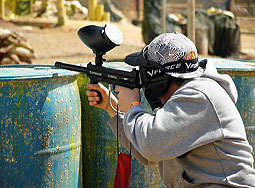 Combat Zone Paintball Field is one of the most fun and exciting paintball fields in Las Vegas, Nevada. 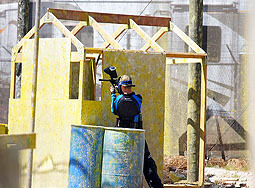 It was started and continues to be run by paintball enthusiast that brings a great perspective to create a unique and fun field. 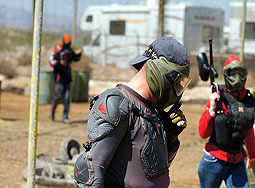 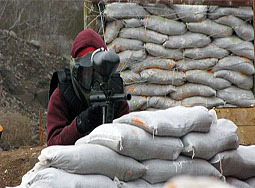 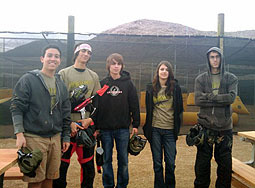 Combat Zone Paintball Field is located on a huge open area and consists of tons of great courses. 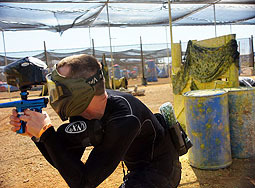 Combat Zone Paintball Field also features a variety of unique playing areas. 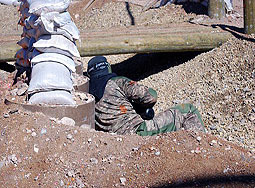 You'll find fox holes and lots of sandbags . 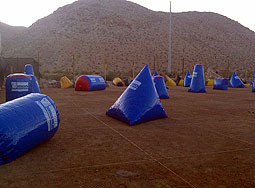 There are also areas to play covered, and uncovered air ball. 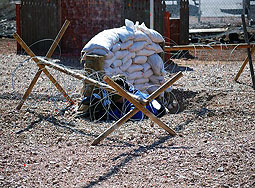 Combat Zone Paintball Field features a WWII-esc field, complete with fox holes and sand bag bunkers. 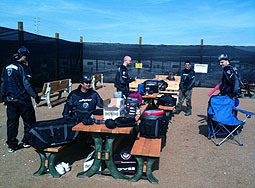 The pro-shop and resting areas are great. 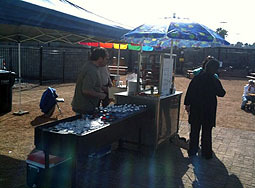 there is even a hot dog stand! 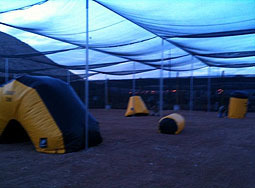 The parking lot and check-in at Combat Zone Paintball Field is big and great for easy access. 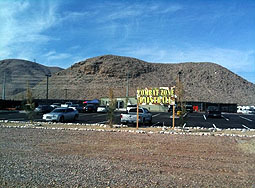 The parking lot even features numerous handicap spots. 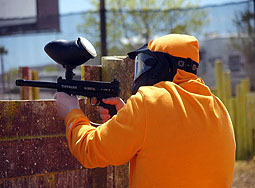 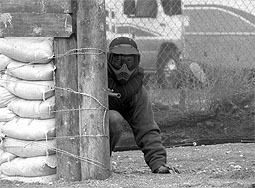 The air ball fields at Combat Zone Paintball Field lend themselves to several interesting types of games. 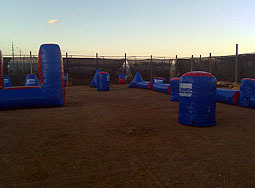 This field at Combat Zone PB is great no matter what type of bunker you like! 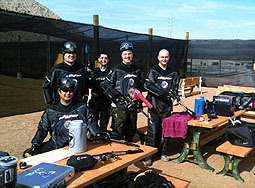 its like meat-lovers pizza for paint ballers. 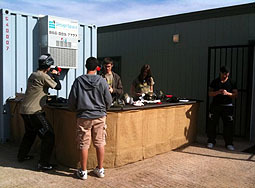 The participants love it at Combat zone! 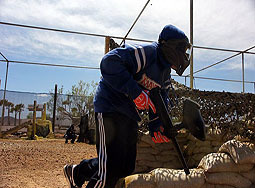 Get ready for action at Combat zone! 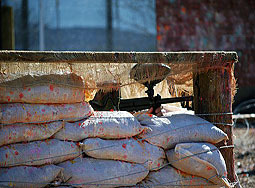 Combat Zone Paintball Field is a "Field Paint Only" paintball field (FPO). 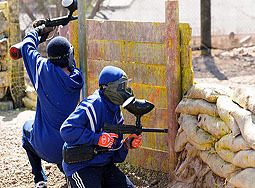 This means that only paintballs purchased from Combat Zone Paintball Field on the day of play may be used at Combat Zone Paintball Field. 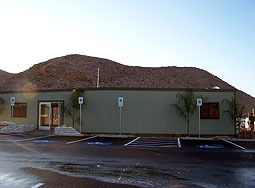 For your safety and the safety of others, the consumption of alcohol or other drugs that may impair your judgment or coordination is not allowed before or during your visit. 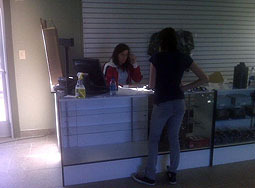 Do not bring alcohol onto the premises. 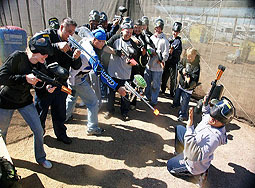 Combat Zone Paintball Field reserves the right to eject any player(s) without refund that its employees think may be impaired or bring alcohol or other drugs onto the premises. 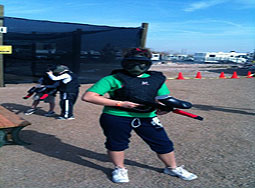 Combat Zone Paintball Field is ideally located for people living or traveling in Las Vegas, Nevada.